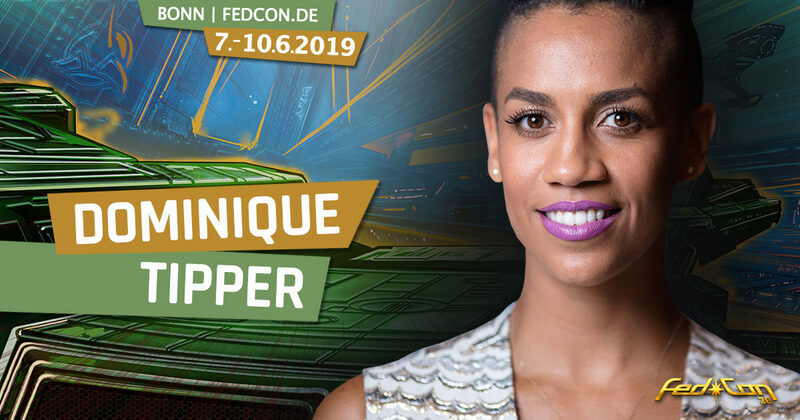 Dominique Tipper – the first female FedCon 28 representative from the science fiction series The Expanse now joins her colleague Nick E. Tarabay and Cas Anvar. Since the beginning of the series (2015), she has been seen in the role of Naomi Nagata, an engineer. The actress saw the light of day in East London and is half British, half Dominican. Especially the latter certainly made sure that she is blessed with a lot of talent in the field of dance and singing. Until 2012 Dominique Tipper worked as a full-time dancer for bands and performers and as a solo musician she released a single under the title “Superstar”. Her film credits include a role in Phantastic Beasts and where to find them from 2016, where she can be seen as Auror. On FedCon 28 Dominique Tipper is less a “Dark Magician Hunter” than an engineer in the service of her Expanse crew.